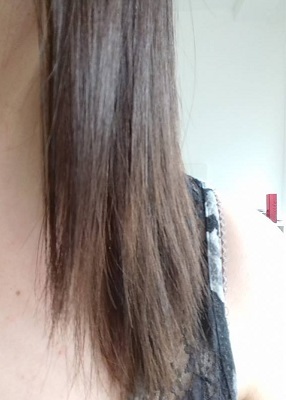 As someone who is in desperate need of a haircut, I’m well aware that my split ends are getting a little bit mental now and that I need to get them fixed. I’m yet to actually get to the hairdressers so I was looking forward to trying this “split end sealer” from L’Oreal. I’m well aware that no product can glue the hair back together permanently, but if there’s a product that’s going to make my hair look less frizzy then I’m all about that. Here’s my thoughts on this offering from L’Oreal. I have a little sample sachet that I got in a magazine. I don’t have too much to say about the packaging since this is a sample but looking at the pink and orange colour scheme it does make me think of summer. This is a fairly affordable product at £5.99 at 200ml, interestingly enough it also has 150 ratings on Superdrug with an average of 4 and a half stars. Aqua / Water, Cyclopentasiloxane, Propylene Glycol, Niacinamide, Ricinus Communis Seed Oil / Castor Seed Oil, Hydroxypropyl Guar, Hydrolyzed Corn Protein, Hydrolyzed Soy Protein, Hydrolyzed Wheat Protein, Hydroxycitronellal, Hydroxypropyltrimonium Hydrolyzed Wheat Protein, Phenoxyethanol, PEG/PPG-17/18 Dimethicone, Behentrimonium Chloride, Triethanolamine, Trideceth-6, Polyquaternium-4, Dimethiconol, Limonene, Panthenol, Benzyl Salicylate, Linalool, Benzyl Alcohol, Amodimethicone, Isopropyl Alcohol, Caprylyl Glycol, Alpha-Isomethyl Ionone, Carbomer, Geraniol, Potato Starch Modified, Citronellol, Cetrimonium Chloride, Coumarin, Hexyl Cinnamal, Parfum / Fragrance. Starting with the smell of this I’m actually not keen on it despite the added fragrance. To me it initially smells almost sickly sweet and then it has an almost smokey undertone which I’m just not massively keen on. The consistency of this is like a thin lotion, it feels like it has silicon within the lotion which I’m guessing is what essentially sticks the hair together. As well as silicon I have also noticed that this product contains a lot of alcohol which I’m surprised to see in a product that is supposed to hydrate the hair. This is described on the sachet as a leave in conditioner so you can apply this onto wet or dry hair. To test this I actually applied this to dry hair as my split ends were more obvious, I then dried my hair with a hairdryer since it advises using before heat to really see how this affected my hair. Before applying this you can see that I definitely have split ends (don’t worry I’m planning a haircut soon! 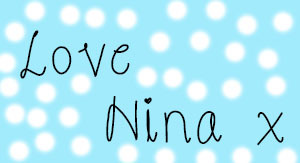 ), I simply brushed through my hair to get rid of any knots or tangles before applying the product. I applied this by taking the cream and then dragging it through the lengths of my hair, focusing on the split ends. I used my fingers to distribute the product evenly, my hair felt very weighed down with product and looked quite straw-like and crispy in appearance. After using my hairdryer my hair dried and felt much more lightweight and less crispy and coarse. 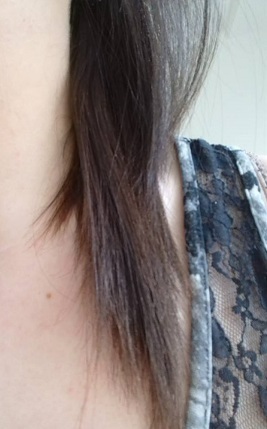 I did also brush my hair once it was dry and found that there was slightly less fall out, my split ends were still visible but reduced. I think that as a short term fix this does help to reduce the appearance of damaged hair but I would definitely recommend giving your hair a quick blast with a hairdryer after using this to make sure it doesn’t make your hair look crunchy. Personally, I’m not hugely keen on this, I have products that deliver similar results and I found the smell off-putting, I did also feel that the product claims were way too out there. The way that this was tested was on bleached hair and was compared with shampoo before brushing to see how much hair broke off. In my opinion this doesn’t prove that hair is repaired nor does it prevent the need for a haircut so I definitely don’t agree with the claims. Having said that, I do find that unlike some other frizz-tamers, this doesn’t ball up or leave any white smears in my hair so that is definitely a positive, but in my opinion this product is a little melodramatic, doesn’t do what it promises and is not going to leave your hair healthier than if you have a haircut – plus the results won’t be permanent! Personally, I wouldn’t purchase this myself and as a recommendation I’d only recommend in a pinch if you are due a haircut and need something to minimise any frizziness until that point. 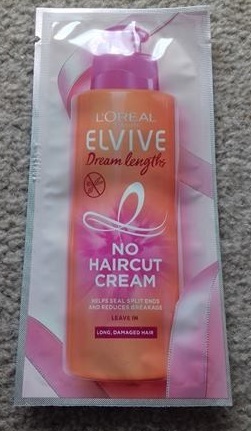 The L’Oreal Elvive Dream Lengths No Haircut Cream is available from Superdrug for £5.99. I hope that you enjoyed this post and if you did please hit the like button, let me know in the comments if you have tried this product and what your thoughts are on split-end sealers. Personally, I don’t believe in them but would still like to try the Fudge Urban one since it likely smells nice! 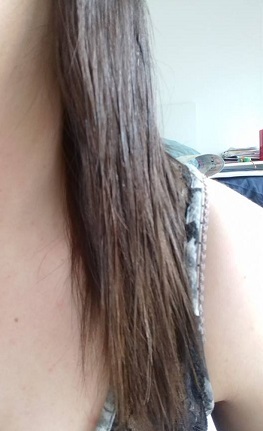 This entry was posted in Hair and tagged beauty blog, do split end treatments work, dream lengths, haircare, l'oreal, lucia widdop, ninarossbeauty, no haircut cream, split end sealers, split ends. Bookmark the permalink.